“City Island 5 – Tycoon Building Simulation Offline”, a new city builder game from Sparkling Society, will make you the mayor of small town starting on just one island. Send your airship to explore the world and unlock beautiful new islands to build your new cities on. 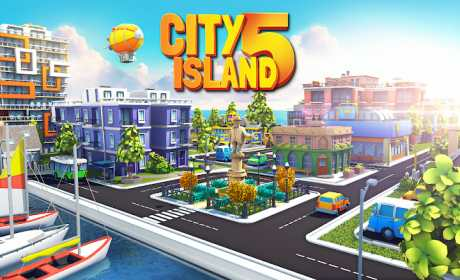 In most city building games you are just managing one city, but in “City Island 5 – Offline Tycoon Building Sim Game” you will be expanding your horizon and skylines to new islands, each with a different theme and surface to build a city on. This city game is also playable as an offline game, so you can build your own city without internet or when you have no wifi connection. Join millions of players with the most popular casual city building game series on mobile! Your town city will start small as a village, but your cities will grow larger by placing more buildings, and unlocking new islands. Building games in the City Island sim games series are well known for their very rewarding free to play offline games, packed with quests and loads of content, with always something to do. Visit the towns and cities of your neighbours or visit my city. These simulation city builder games fall into the category: fun casual offline city building games for free. So this means that you’ll never get bored playing “City Island 5 – Offline Tycoon Building Sim Game”! Next to the hundreds of buildings to unlock, this island city builder games has dozens of quests to earn treasure chests packed with very cool stuff. Design and build your island city the way you want, and play with friends to help each other. These casual tycoon simulation games come with a lot of cool buildings and islands to unlock and will definitely make you stick around for long sessions to collect loads of money to make your town and cities grow and design them however you want to build a city. 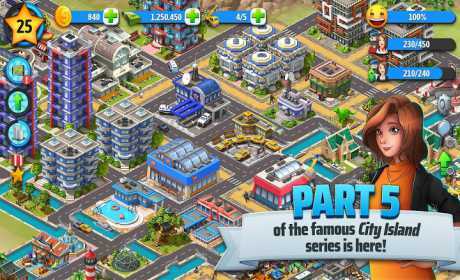 ▶ The newest game in the most popular city building game series on mobile! ▶ Collect, upgrade, decorate, explore in this complete construction simulation game! ▶ Collect rewards and earn treasure chests! 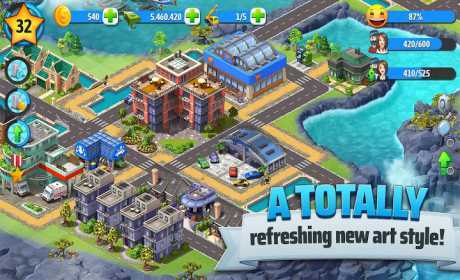 ▶ City builder games made fun again with dozens of cool islands to build your city on! ▶ Build your own city and watch other players’ cities as well!